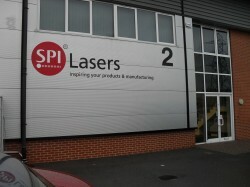 SPI Lasers are a world-leading fiber laser supplier, based in Hedge-End, Southampton in the UK. Established in 2000, SPI Lasers has grown as a competitor in the fiber laser design and manufacturing industry and is continuing to focus on maintaining and gaining key market segments, namely micro-manufacturing. HMF designed the 2 tier facilities with new clean room, toilet facilities and a plant room located on the ground floor. 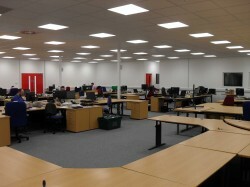 On the mezzanine level new laboratories were constructed as well as a large open plan office complete with 3 meeting rooms. HMF provided the installation of a goods lift which enables SPI Lasers to move trolleys of product & materials between floor levels. 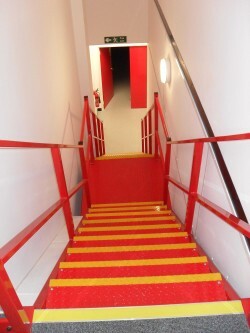 The mezzanine floor covered an area of 7150ft2 & was access via a new non slip steel staircases. 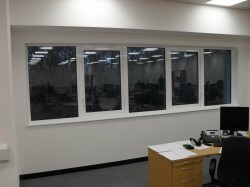 As the principal contractor, HMF provided structural designs for the incorporation of new windows within the building & fitted powder coated aluminium windows to match the existing windows throughout the industrial estate. HMF undertook the Building Regulations application & administration process as well as the planning permission application approval required for the introduction of the new windows. 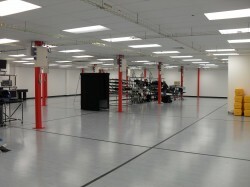 The new facilities give SPI Lasers the space required for the continued expansion of their business. The new facilities are built to a high specification finish, which are in keeping with the standard & quality of SPI Lasers.